(Newser) – At least 13 people are dead after a gunman opened fire inside a crowded dance bar in Thousand Oaks, California, Wednesday night, says Ventura County Sheriff Geoff Dean, per the AP. The fatalities include one deputy; the gunman also is among the dead. 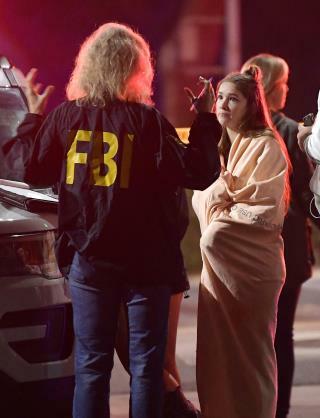 A witness tells the Los Angeles Times that at least 30 shots were fired after a gunman entered the Borderline Bar & Grill, a country-themed bar that was holding a college night, around 11:20pm. Ventura County Sheriff's Office Capt. Garo Kuredjian told reporters that the gunman was still firing when police arrived at the bar. I'll have a double-shot...oh wait..
Whoa whoa whoa...Cali has strict gun laws, this is BS!!! !